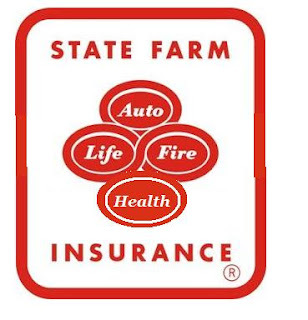 This Young Economist: Why isn't this State Farm's logo? Why isn't this State Farm's logo? Ryan has an interesting post to answer this question, and went through the trouble of modifying the logo. So here’s the bottom line: if you currently have decent health insurance, thank the government. It’s true that if you’re young and healthy, with nothing in your medical history that could possibly have raised red flags with corporate accountants, you might have been able to get insurance without government intervention. But time and chance happen to us all, and the only reason you have a reasonable prospect of still having insurance coverage when you need it is the large role the government already plays. Not everyone can purchase insurance. Across a wide set of non-group insurance markets, companies choose to not sell insurance to potential customers with certain observable, often high-risk characteristics. The rest of the article is great too, and it relates to some previous work by Amy Finkelstein, the economics profession's most recent John Bates Clark Medal winner. Here's an accessible paper of hers on the topic. Note: In Ryan's post, the hat-tipped article by Friedman really is quite good.